Discussion in 'Other Disney Collectibles' started by lordofanime, Jun 29, 2016. 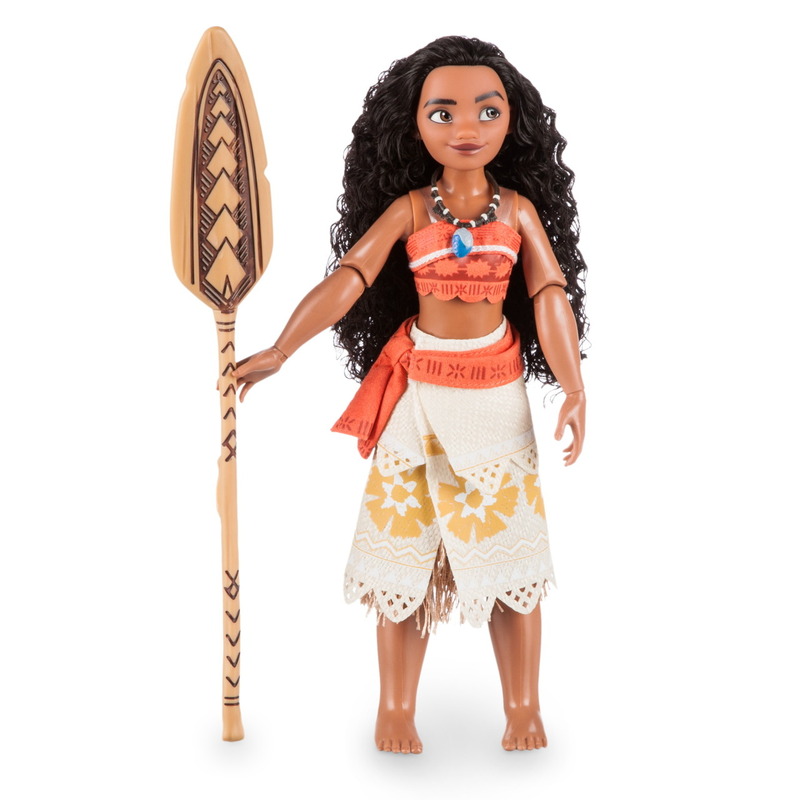 Here is the thread for all the official Moana merchandise! Three thousand years ago, the greatest sailors in the world voyaged across the vast South Pacific, discovering the many islands of Oceania. But then, for a millennium, their voyages stopped â€” and no one today knows why. I'm not a big fan of the doll. I think disney took the "Princesses are too thin" response too far with this doll. Her arms and legs are MASSIVE! they can't possibly belong to the same body as that waist! Also, I think her expression is godawful. It's an expression I would see on Maui, not her! I must say this is one of the only Disney films I'm not excited for. I might be wrong as I thought zootopia looked rubbish based on trailers but seeing it I loved it! 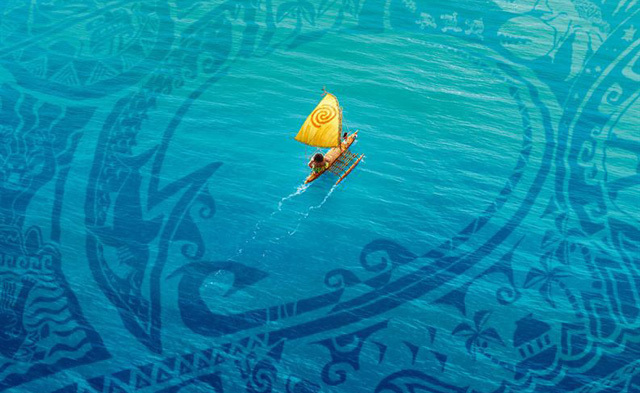 But the trailers for Moana do not get me excited nor anything else I have seen for this film. I see her as a princess being like Tiana,Mulan,Pocahontas and Merida -not very popular. Dwaynes character seems so annoying. But moanas character design to me is god awful! Thought Merida was ugly but she's worse, look at the ankles she's way too thick. I like the classically beautiful princess's Cinderella, Aurora. I will go see the movie in cinemas as I might love the movie but even if I do cannot see me buying any merchandise/dolls as I dislike the character design so much. I like how she looks in the movie, but the combination of huge limbs and a horrible face sculpt ruined this doll! Bleh, I completely disagree, we need to get out of the "traditionally beautiful same face/body sculpts" for female characters. Merida and Moana look awesome. I'll all for that, except when it looks like Sid from Toy Story designed the Moana doll. The legs and arms don't go with the body. I do think they went to just a little to thick with the arms and legs, but on the flip side can you imagine the backlash if they had given her the traditional princess body sculpt instead. Her body style makes me think of the style used in Lilo & Stitch, the arms and legs are very thick and look much larger than the body... But it works and I like it. I don't know if it has something to do with a Hawaiian stereotype or they're just trying to suggest an active life, but I really like it in stitch and I do like it in Moana. To me it gives character. Also I agree with the disapproval of the rock, when I first found out he was a major character I was so disappointed. Idk I personally don't think she looks bad at all. She turned out a lot better than I expected her to actually. Her waste is a little too thin considering how her arms and legs look, but I don't think its very noticeable. If anything, the small waist throws off the proportion of the doll, not her arms and legs. It seems pretty true to what we saw in the trailer. I'm excited to see another non-traditional princess in the mix, personally. I'm so excited for this movie and glad to have a Pacific Island princess! I'm from New Zealand and we learned about The Legends of Maui (Dwayne Johnsons character) all throughout school so it will be an important movie for the kids in this part of the world. The music already sounds pretty unique and I'm excited that Disney isn't just re-hashing an old fairytale. We've got all our "classically beautiful" princesses so it's time for something new! Thus movie is going to be so important for a lot of kids - even with Disney's brand of "creative licensing"
I'm possibly the odd one out here - I'm really looking forward to the movie, and I think the doll looks quite adorable. Her expression looks playful, like she's thinking about what sort of adventure she's going to have next. I think this one will be a buy as soon as I can once it comes out for me. I agree, actually. The movie looks interesting, and it's nice to get some new perspectives out there, besides the usual princess stuff. The proportions definitely look off when you compare the face, neck and limbs to the waist. I'm all for the different body shapes and happy to see a different type of character but the waist seems too small for the body. When i first saw the pictures I felt something was off with her. After reading the comments I must agree she looks disproportionate... I don't want to get into a deep analysis about society's obsession with thinliness but I would have probably liked her better had she had a bigger waist. It may not be the best selling idea but I would love a princess with more curves. I don't really know anything about this movie, but I'm already in love with the pig. I'm so excited for the movie, and the pig looks adorable! I love the doll overall, but something about her face just doesn't quite match her look in the trailer. I think her mouth looks a little off, but I'm still going to get her. Her hair and outfit are gorgeous. I already adore the personality and character in that doll's face! The proportions on the body aren't perfect, but I still love how thick and solid she looks. What's bugging me is the difference in color in the plastic used in her upper torso, and in her head, arms, and legs. The upper torso plastic looks a little more orange than everything else. Aside from that nit, the outfit, hair, and even oar accessory look great! Could be. If it is, then hopefully it's a prototype. The character/pose choices are fine, but the figurine sets tend to be more detailed. I'm so excited to find out more about these characters! So for everyone who doesn't know, tonight during the Olympics, there will be a new 60 second sneak peak for Moana. The official Moana Facebook page uploaded a live video with Dwayne "The Rock" Johnson, Lin- Manuel Miranda and Auli'i Cravalho talking about the sneak peak and showing off some Disney Store merchandise! They had the deluxe Moana doll, the Maui action figure, a plush of Heihei and a moving plush of Pua.